It’s interesting how names come about in literature and other facets of life. Do you ever wonder how names come about in writing and whatnot? I read an interesting fact today. It was about how Clark Kent came to be Superman. If you know me very well, you know I have a great affection for superheroes and Superman is my all time favorite. What was interesting to me is that in 1934 Superman was endowed with the strength of 10 men but he couldn’t fly. After being turned down by 15 syndicators, The Man of Steel took the air and acquired the needed strength to become a super legend. Some say Superman’s success is within the storyline of his secret identity whose name was derived from two popular actors of the time Clark Gable and Kent Taylor. And hence Clark Kent was born via secret identity to Superman. The interesting fact makes the debate of which came first the chicken or the egg come full circle. I often think about names for my characters and what they mean and represent as I develop them. The on other whims, I’m drawn to a quick name without consequence. It also depends on my mood and how developed I will make the character. I’ve used a variety of methods in coming up with names via character or fictional objects and places. Did you know how the name ‘Wendy’ was invented by J. M. Barrie for a character in his 1904 play Peter Pan. The poet W. E. Henley, a close friend of Barrie’s, had a four-year-old daughter, Margaret. Because her father always refer to Barrie as a “friend” she would try to imitate him by saying “fwend” or “fwendy–wendy.” Sadly, Margaret died at the age of six but her expression lives on in Peter Pan and to all the Wendy’s that have followed. I’ve loved this story for years and more so with my youngest, which I tend to think wanted to be a lost boy at one time. Nonetheless, I’ll always believe in fairies and Tinkerbell is by far the best fairy of all, plus her name is awesome. Lastly, it’s also how writers name lands in the worlds they build. Did you know how L. Frank Baum came up with the name the Wizard of Oz in his classic tale of Dorothy Gale from Kansas? He began telling a group of children in 1899 about this story. A little girl asked him about the name of his magical land with the scarecrow, tin men, and cowardly lion. He looked around the room for inspiration. He happened to be sitting next to a filing cabinet with the drawers labeled A-G, H-N, and O-Z, which gave him a quick answer: OZ. It’s interesting how writers come up with names for their stories, be it places, persons or things. Some use name generators or play with everyday words. 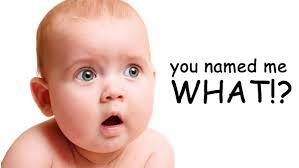 Some use baby name books and search census data on popular names. Others view the meaning of names in order to select a name based on a character trait. If you read sci-fi or paranormal romance, you probably scratch your head on how to pronounce several names from time to time. I find it fascinating how writers come up with names. Also, these few facts and stories are quite interesting to behold for sure. How do you come up with your character names? Is there a special formula? Any annoyances as a reader? I love this post. I didn’t know the story behind any of those names. It’s so much fun to discover their significance! I usually ask my girls, because I really struggle with naming characters. Except for Worlds Apart – Keith is my father’s name. I did name a character once without thinking, because I never intended him to have a big role. It turned out he had something to say about that, and as he developed in my mind I went through a stage where I worried the name didn’t fit. But then, changing it didn’t work, or giving him a nickname, because it just didn’t feel right. I struggled to name characters in my upcoming fantasy novel. For months one of my dwarves was without a suitable name, and then I was driving through Wales and saw a town called Gobowen and thought…that’s perfect! Thanks Mel. I love the quirky stories behind how things came to be, I find them fascinating. I have to admit, I’m wary of using a family name in any story – I shy away from it. It’s wild when a name hits you, like it did for Gobowen, which sounds absolutely perfect for a dwarf in a fantasy novel! Hi there. This is a great article on character names. Do you mind if I feature the entire post on my blog, A Writer’s Path (6,200 followers) as a guest post? I have on guest posts about 3 times a week. I would, of course, give you credit by name and provide a link for my followers to check out your blog. Before even considering, I wanted to ask you first. Sounds good. I’ll drop you a line when its turn comes up in the queue. Thanks! It’s scheduled for Dec 27th. As usual, I included the credit/bio/link back to your blog. Do you ever search names out when your struggling? I tend to do that, either the moment hits where I find it, or not. Almost like surfing the web when you have writers block – can be a time waster, but then other times surprising. Yes, I’ve been sucked into the web name game too. Next Next post: CONTEST You say… Calling All Writers!